Ask students mid way into a lesson to swap work with a partner ( to help differentiate, use buddies you select). 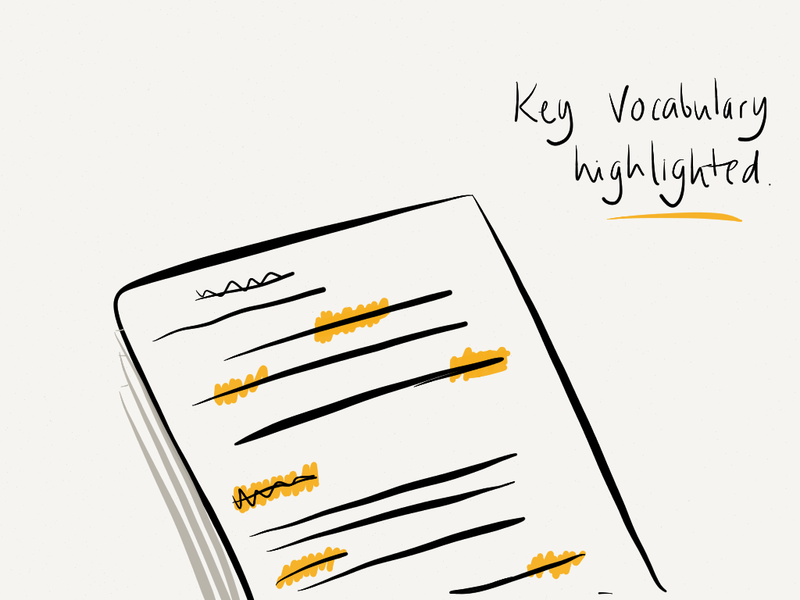 Now ask the students to peer assess only highlighting use of the lessons key vocabulary. Ask students to share the good uses of key vocabulary that they’ve highlighted in their partners work. You’ve an opportunity to give praise and encouragement to pupils across the ability range. Sounds easy enough doesn’t it? It’s a simple thing that in the midst of a lesson you might forget to do, but its valuable to you and the students. Give it a go!